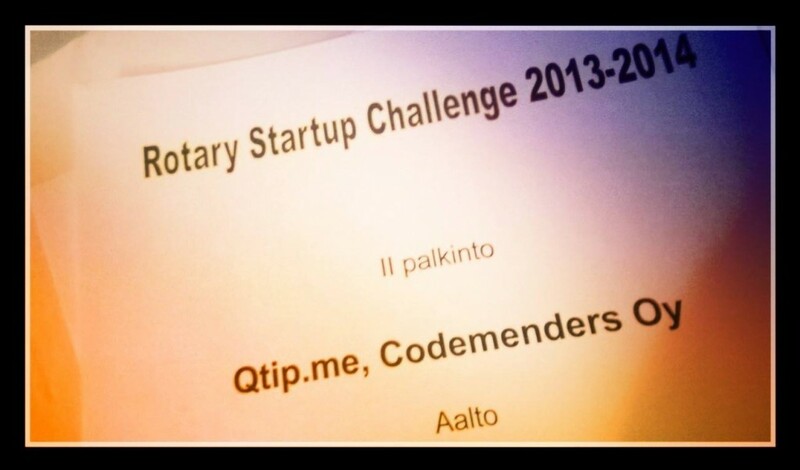 qtip.me was awarded second prize at the Rotary Startup Challenge organized by the City of Espoo. Our team is super excited about this! comprehensive application that saves us from long waiting times in queues. of Expertise in Ubiquitous Computing, Entertainment & Media Management Lab. funded by Tampere Region Centre of Expertise in Ubiquitous Computing. Full document of the press release can be found here. Our team is super excited about this! In the last few weeks and months, our team has been working very hard to get the concept and pilot for qtip.me ready. And the efforts have been honoured well by Protomo. We have been nominated as the “Start-Up of the Week” for Week 21. Hurray! Thanks to a great team!